UK manufacturers are accustomed to doomy predictions about the country’s output, and if manufacturers had a pound for every time someone said to them: “But nothing is actually made in Britain anymore” they would have the bank balance of Roman Abramovich. However, UK manufacturers have always been a doughty bunch, pressing forward to ensure their business, their sector and the economy thrives, whatever the prevailing conditions. Martyn Ingram, Group Director of one of the UK’s manufacturing and engineering success stories, Morgan GRP, says 2016 was a year of marked growth for them – and he is upbeat about 2017. But, he cautions, in uncertain times business owners need to pay ever closer attention to the foundations of their operations. “Morgan GRP is the umbrella company for Morgan Marine and Envico Engineering, and we have an unusual – some might say a rags to riches story. 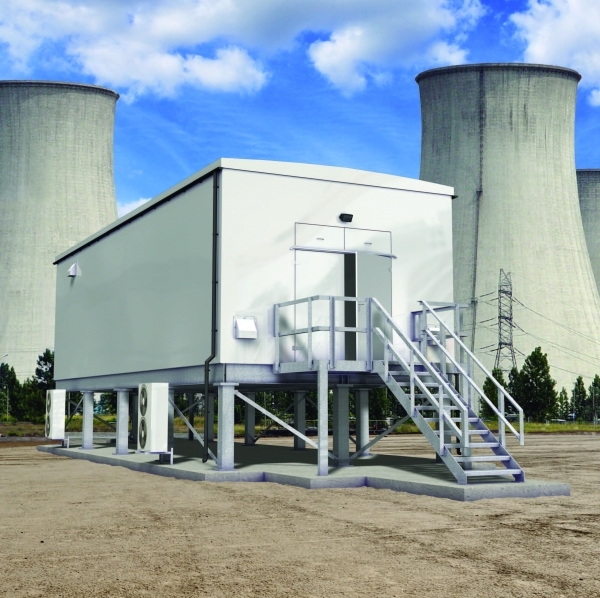 “We are a leading manufacturer of security housings, enclosures and products designed to protect Critical National Infrastructure in the utilities, construction, nuclear, rail and renewables sectors – as a group of companies, between 80 and 90 percent of the power distributed in mainland UK has passed through one of our enclosures. “I began my career at Morgan Marine in the 1980s as an assembler on the shop floor, and I went on to work in every department of the business before staging a management buy-out in 2003, when the business was in the red. 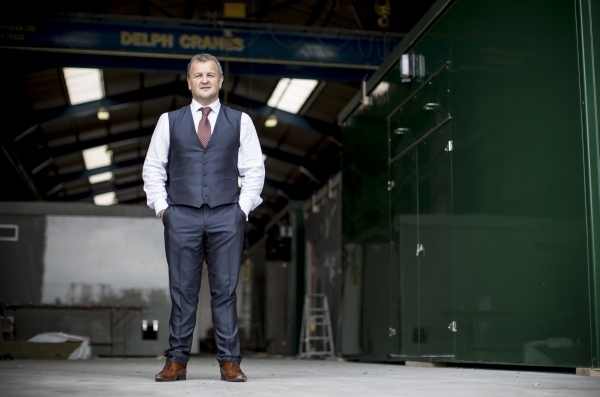 “Since that time, the Morgan GRP Ltd story has been one of continued growth and development, with the acquisition of Pontarddulais Sheet Metal & Fabricators, Envico Engineering and ESM. “Now I am Group Director and Majority Share Holder of Morgan GRP Ltd, with Sue Paton and David Jones, and we have grown year-on-year, even during the leanest of Britain’s recession years. “In recent years Morgan GRP Ltd has been recognised within the Top 100 Companies in South West Wales, 15th in the Top 50 Most Profitable Companies in Wales, within the Top 50 Largest Employers in South Wales and most recently the company was listed as one of only two Welsh firms within the prestigious Sunday Times Profit Track 100. “2016 proved to be one of our most successful years financially, and this was fueled by the fact that throughout 2015 and 2016 we made some seismic changes to our thinking and our operations. As part of a determined expansion and revisioning drive we invested almost £1 million in a new Enterprise Resource Planning (ERP) system. The system integrates all applications across the group, to manage the business and to automate many back-office functions relating to IT, services and HR. “This new system has seen our company directors making a commitment to weekly immersion and training sessions to familiarise themselves with its processes. “Our determination to reshape our way of working and, importantly, our way of thinking, saw us take on key new recruits, some of who specialise in change management itself. “As Group Director I’ve had something of a slow-burning epiphany about the company. I have always been very well aware that the things that make Morgan GRP Ltd unique, and the things that make ours such a compelling business story, could easily be the things that undermine us too. “For example I, and many of my long-standing colleagues in the company, began my working life on the shop floor at Morgan Marine. I have a deep emotional investment in the company. “This is common to many company directors who start their working life as I did – getting our hands dirty. But this brings its dangers. “It is very easy, when you have been working from a company since it was a small acorn to retain the small business thinking you started out with. “Morgan GRP Ltd is a very different company now and a very successful one. Consequently it is vital to break that mindset and to create a mindset more appropriate to the business we have now – we are a multi-million pound operation, ambitious for growth, and we are willing to embrace new technologies, new strategies and new ways of working, which best serve Morgan GRP Ltd.
“This willingness to adapt has proved its worth. In recent months our group has seen an increase in its projected turnover rising to £28 million from £21 million. “Of course, we are far from immune to the inherent challenges facing all UK manufacturing companies – from the prevailing uncertainty over Brexit, to the jitters in the financial market at home and abroad, and the shortage of skilled engineering and manufacturing staff here. “Those challenges need to be met with bold thinking, sound investment, a serious approach to recruitment and retention, and impeccable customer relationships. “For us, as a group, these issues have proved surmountable. “Because we supply bespoke security solutions to safeguard Critical National Infrastructure, demand for our very specialist products, in today’s climate, is unprecedented. “Security is an increasingly weighty issue in the water, rail, nuclear, construction and utilities industries because of the increased threats to hardware from external attack or breach. “The security of our water supply is always a key issue. 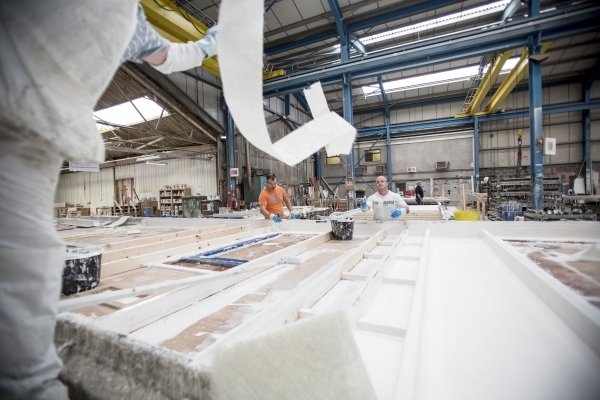 This comes into sharp relief as the UK becomes more prone to flooding, which puts extra pressure upon the infrastructure that supports our supply – consequently our flood defence products are in demand. “All the utility companies across the UK house some of their critical infrastructure in kiosks and housings, typically fabricated from GRP, brick or steel. We have developed systems of raising the housings above the flood risk zone effectively mounting the housing on load bearing steel legs. We also provide the access stairways and landings to gain access to the raised housing. “The security industry is fast-moving and we develop new products or upgrades to our existing products every year in direct response to the stated needs of our customers. 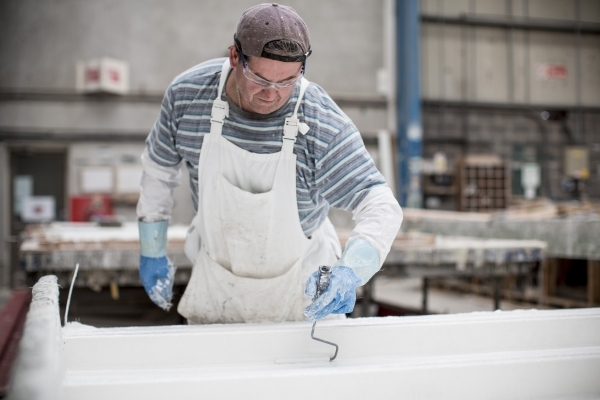 “We have invested heavily over the past 6 years to develop our product portfolio and Morgan Marine is the only company in the UK to manufacture LPCB accredited security products in both Glass Reinforced Polymer (GRP) and steel, becoming the UK’s most highly-respected business associated with the design and manufacture of GRP and steel security products. “Just this week we completed further fire testing and we are now the only company that can offer a LPCB SR 2 or 3 rated construction that also offers a one hour fire rating. “A few months ago we added new single and multi-leaf access covers to our range – in direct response to consultation with our customers. This cover is particularly valuable to clients in the water sectors by helping to secure chambers. “Our production strategy has always been Made to Order and we don’t expect to be impacted by the slow but steady march of automation. Our products are bespoke, specialised and made in small quantities or singly, so we need humans not robots in our workshops. “I have been very vocal in recent years about the shortage of skilled staff which is endemic in manufacturing and engineering in the UK. “Our strategy for combatting this is to pay very close attention to the workforce we have, giving them the most meaningful training we can at each stage in their career, so their skills are always being refined and so they aren’t left behind when processes change, as they frequently do in manufacturing. “The number one reason people under 35 leave a manufacturing job is that they feel they don’t have a future at that company. If staff can see we are serious about their long-term career then they feel valued and invested in the company’s future. “Both at Envico Engineering and at Morgan Marine we have several generations of families working for us, with many of our employees having been with us for decades, so our we are doing something right. “I have always had an unshakeable faith in UK manufacturing. It is a robust beast driven by determined, resourceful people. “It worries me greatly that much of the media chatter about Brexit, the UK economy and UK manufacturing is relentlessly negative and I think there is a real danger that parts of the media are pursuing this line too doggedly, and in a way that may wound the British economy. “Yes, we have had a year of great change and political surprises, but we are also in a relatively strong position as an economy and we certainly have the resources to weather any squalls. “And while there have been times, let’s be honest, when some British manufacturing brands have struggled to compete in a fiercely competitive worldwide marketplace – particularly with China, Vietnam and Japan – times have changed. “The best UK manufacturers can offer top-quality service, competitive prices, fewer supply chain risks, a commitment to long-term relationships, flexibility and the best follow-up contact. “If you are looking for a manufacturer, there has never been a better time to spend your money in a partisan fashion. “We are seeing major infrastructure projects being rolled out across the UK, from Crossrail to HS2, to the developments regarding mini nuclear power sites – in many respects, post-Brexit Britain is in fine shape. Detailing some of the great innovations and the design achievements that are rolling out of UK car factories, this isn’t a retro piece hankering after the country’s former glory days. It is about what is happening now in UK automotive engineering, from Aston Martin to Zenos.